ST. JOHNS COUNTY, Fla. - A Butler Beach restaurant manager was arrested last week after pointing two guns at an Interlachen man in an apparent case of road rage, the St. Johns County Sheriff's Office said. Britt Meyer, 56, is charged with aggravated assault with a deadly weapon without intent to kill. According to his arrest report, Meyer and a 25-year-old man got into an argument Friday afternoon in the parking lot of Haszard's Open Pit Beef at the Beach, which Meyer manages. Katelin Daugherty, who identified herself as the man's wife, told News4Jax that she and her husband, Jamie, were in a car with their three children -- a 4-month-old, a 7-year-old and a 9-year-old. She they pulled into the restaurant parking lot after missing their turn and then stopped in the driveway of the restaurant while waiting to make a U-turn on A1A. That's when Daugherty said Meyer started yelling at them. "Talking about, 'Move the **** out of my way. Get the **** out of my parking lot," she said. "He was screaming uncontrollably." Daugherty said she was driving and her husband, who was in the passenger seat, kindly tried to explain they were not from the area and were trying to turn around after missing their turn. She said her husband thought the man didn't hear him, so he opened the door and leaned out to explain the situation more clearly. "The next thing you know, you see him reaching for something and he pulls out a pistol," Daugherty said. That's when Daugherty said the man pointed the gun at her husband. When traffic on A1A let up, she told her husband to get back in the car so they could drive off. Katelin and Jamie were in their car with their three children when the incident unfolded. "So I pulled out and Mr. Meyer pulled out super-fast behind me. I looked in my rear view and he had to slam on brakes to stop from slamming into my car," Daugherty said. 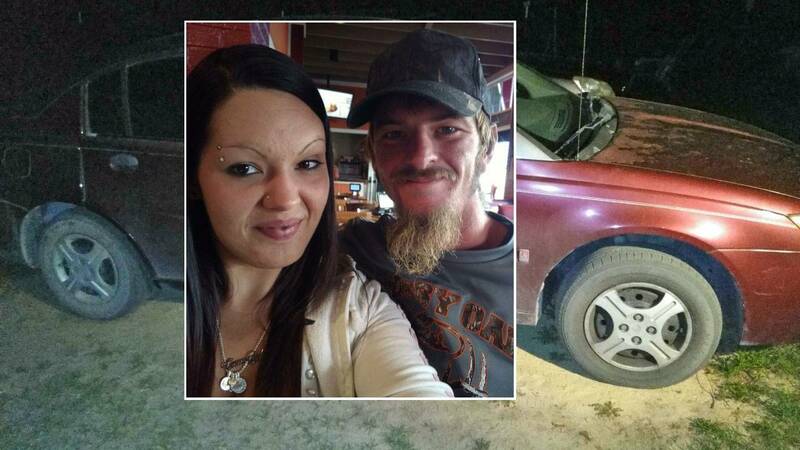 She said she pulled into a Dollar General parking lot next door and her husband called 911. Daugherty said Meyer drove back to the restaurant parking lot and the situation escalated when Meyer spotted her husband standing in the parking lot, talking to a 911 operator. "He gets out with an AR-15. He has it in his hand and he walks halfway to the middle of the parking lot," she said. "He walks back to his SUV and places the AR on his hood to get a better aim on him." Shortly after, deputies arrived and took Meyer into custody. "If the police didn't pull up in seconds, my husband would be dead right now," Daugherty said. Deputies said they found the loaded rifle inside the restaurant with 30 rounds in the magazine. Meyer was booked into the St. Johns County jail, and released the next day after posting $5,000 bond. No one was hurt during the incident. But Daugherty said her 7-year-old and 9-year-old were traumatized by the ordeal. She said her baby is too young to know what was happening.